Lamett webshop, a branch of Lamett Europe NV, handles your personal data carefully. We do our utmost to guarantee the reliability, safety and integrity of the data collected by us. We use your data solely to be able to offer you the information and services you request, which means that we will store and process only the data and information that are absolutely necessary to respond to your enquiry or execute an agreement. Your personal data are never given, sold or handed over to third parties. Only third parties directly involved in executing your order (e.g. the courier service), get access to the data. Your data are guarded in a non-public database. The data of your transactions are sent locked over the internet so they cannot be ‘overheard’. Your transaction data will be encrypted over the internet so that listeners will not get a chance. 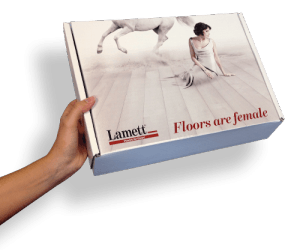 Lamett Europe NV can only send its clients selected promotional e-mails about its offers. If you want to stop receiving messages, you can sign out at all times, either by clicking the sign-out link at the bottom of the page or by sending an e-mail to info@lamett.eu We immediately stop sending you e-mails or newsletters. If you have given us your phone number our company will only contact you by phone if it is necessary to inform you about the questions or the orders you have made. On the forms on our website we clearly state which fields are obligatory and which ones are optional to be completed. We do not use your data to contact you for other purposes without your consent. Name, address and phone number. These are used to deal with your order correctly. Your e-mail address, to keep you informed about the status of your order. Payment information such as credit card or bank account number. These are used to finish your order safely. Lamett Europe NV is not liable for errors in the data concerning your address, invoicing or other personal data, through which Lamett Europe NV cannot fulfil its obligations (e.g. delivery or sending information). You are responsible for the confidentiality of the password linked to your user’s profile. When you are under 18 the website can only be used if a parent or guardian has given his consent.